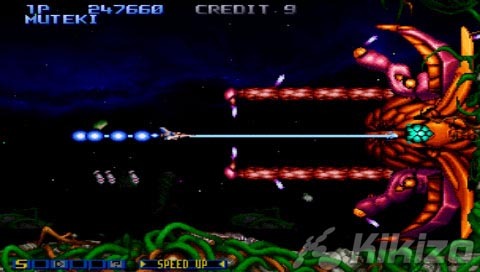 Konami shows the love to Gradius fans with a portable shoot 'em up collection that's simply out of this world. 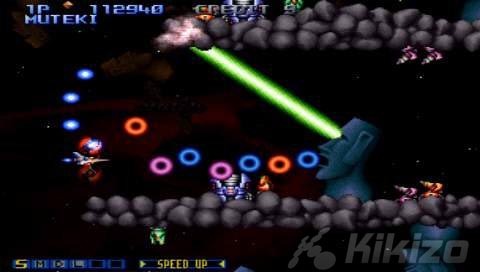 Instead of continuing the series' tradition of allowing players to select their power-ups at the start of the game, players are instead provided with 4 different ships to choose from. Aiding the Vic Viper in its mission to save planet Gradius are two new fighter ships - The Jade Knight and Falchion Beta - as well as an old ally in The Lord British, which first appeared as the 2nd player ship in the original Salamander/Life Force. Each ship is equipped with their own types of upgradeable weapons that can be powered up to two levels. In addition, there's also a nifty new Gauge Edit mode that allows players to rearrange the order of the items on their power-up gauge for quicker access to their preferred power-ups..
All in all, Gradius Portable is a pretty solid retro collection whose only fault is the absence of the SNES version of Gradius III. All of the included games play really well, and all of them contain a convenient Save feature that allows players to save their progress anytime during play and load up their last saved check points. In addition, players can also adjust the speed of the games by setting different Wait Levels, allowing them to toggle between the original settings of each game with slowdown fully intact or use the power of the PSP to play them at full speed for an added challenge. Though, Gradius 3 still gets bogged down a bit regardless of your speed settings. Other options also allow players to adjust the hit size of their ship, set the number of lives they want to start off with, select their difficulty settings, with a 'Tuned' option allowing for further adjustments to be made to the difficulty of the games, as well as set their Extend Score for gaining extra lives. The scoring system of the Gradius games are pretty standard fare, albeit a bit inconsistent as players basically rack up points by destroying as many enemies as they can throughout the games. Oddly enough, only Gradius III and Gradius Gaiden awards points for collecting power-up capsules, while you get nothing from the other games. No big deal really, just a tad bit inconsistent. In addition to housing 5 excellent ports on a single UMD, Gradius Portable is also host to some nice bonus features such as a Gallery mode containing the CG movie intros of Gradius III & IV for the PS2, and Gradius Gaiden and Gradius Deluxe Pack for the PSOne respectively. 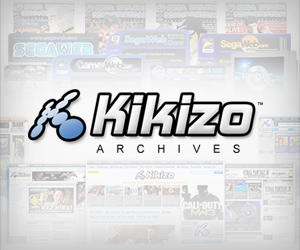 There's also a cool music player that allows players to listen to all of the music of the included games, as well as the complete soundtrack of the X68000 versions of Gradius and Gradius II. Sweet! Graphically, outside of Gradius V, the Gradius series has never really been known for its stellar graphics. With the exception of a few levels spanning all of the included games, the level designs have always had a solid, mechanical look to them, with just a small handful of organic-looking levels. The games included are visually identical to their original versions, so with the exception of a few graphical effects utilized in Gradius Gaiden and Gradius IV, there isn't really much that's going to stand out. All of the games are presented in their original 4:3 aspect ratio, unfortunately only Gradius and Gradius 2 feature a widescreen display option, providing a slightly more expanded view of the levels. Additionally there's also a zoom feature that allows players to stretch the images to fit the entire screen with Gradius 1 - 3 offering 3 levels of zoom, while Gradius IV and Gaiden only offer 2 levels of zoom. Naturally the image quality of the games degrade the more the images are stretched out, so those worried about black borders appearing on the sides of the screen need not worry as a static space background image fills up the remaining screen real estate when not playing in full screen. Audio-wise, the Gradius series has always been host to some pretty solid sound design and all of the catchy melodies, voice samples, and sharp sound effects of the series comes through nicely through the PSP speakers as well as through a good pair of headphones. While the SNES version of Gradius III is still the apex in sound design for the series and features the best music of them all, there are still a number of pretty catchy and highly enjoyable themes to be found throughout all of the included games here. With the exception of Gradius IV's initial 20-second load, the load times are pretty brisk in general, that along with a convenient save feature, and the advanced specs of the PSP makes for a perfect marriage between Gradius Portable and Sony's portable wonder. While a U.S. version has already been announced for release later this year, there's really nothing stopping fans from importing this baby right now, since, with the exception of a simple mode select at the start of Gradius III and some extremely minor, unimportant save screen stuff, the game menus are completely in English. Now Konami, bring me a portable Salamander collection, I beg of you. THE VERDICT: Gradius Portable is a great classics collection that will make a wonderful addition to the gaming library of any shooter fans.